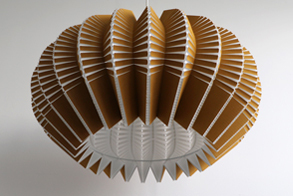 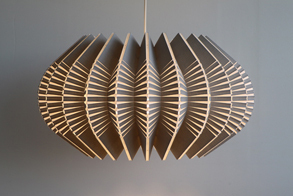 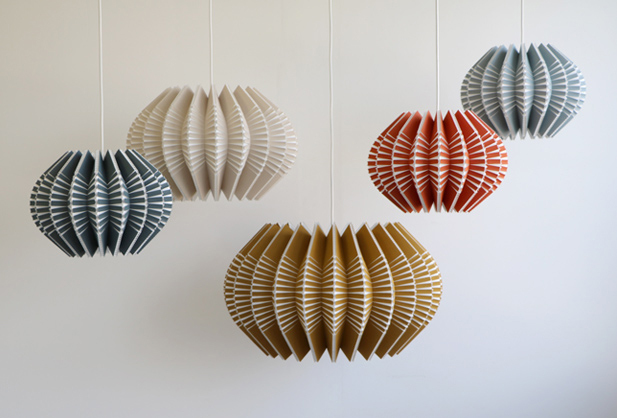 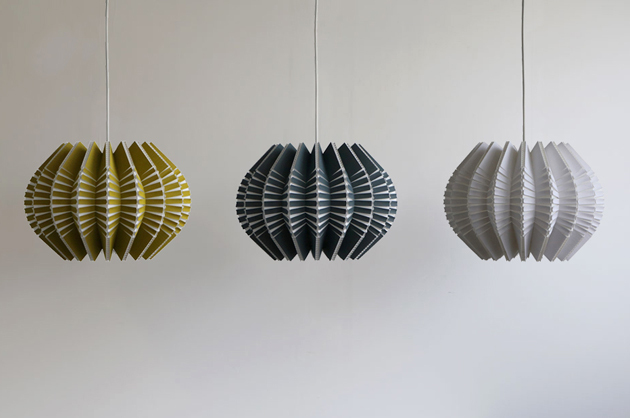 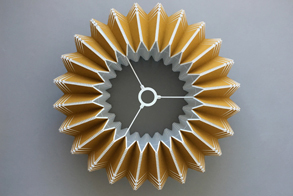 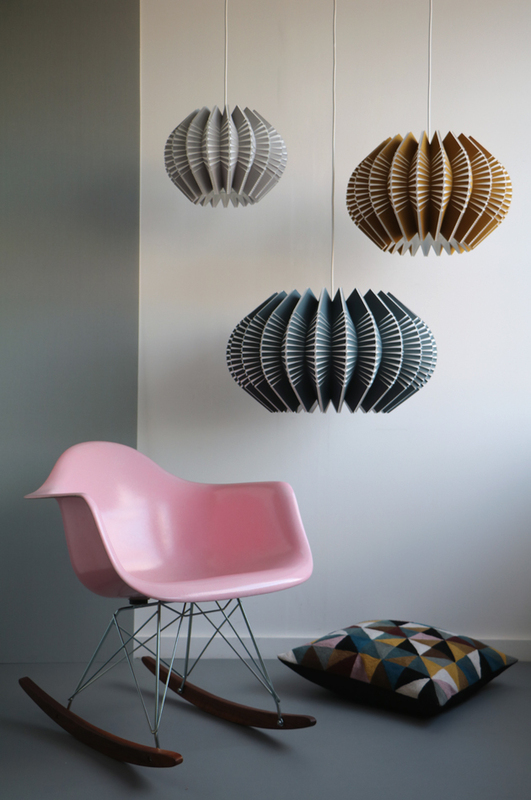 Spine emulates the geometric patterns found in sea urchin shells. 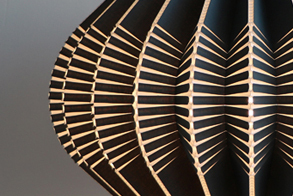 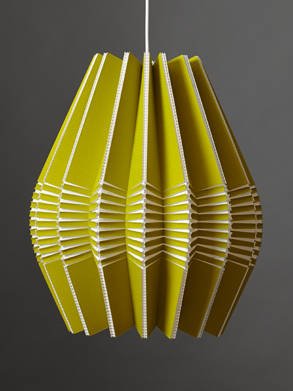 Tight radial curves impose their structure on pleated segments dictating the finished silhouette. 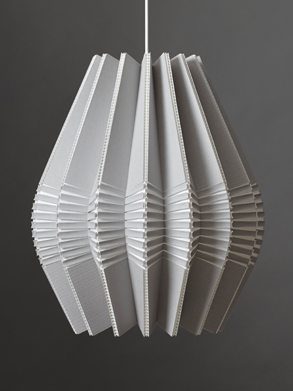 Light is diffused gently through these volumes radiating more intensely where the surface material splits apart. 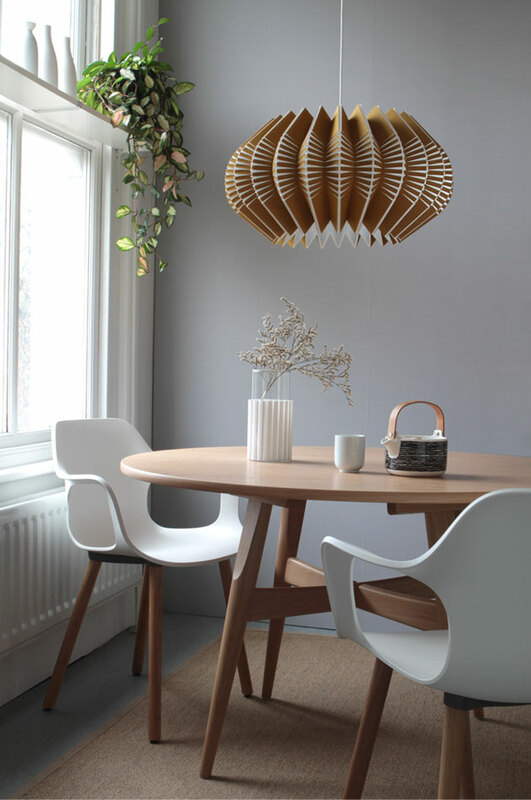 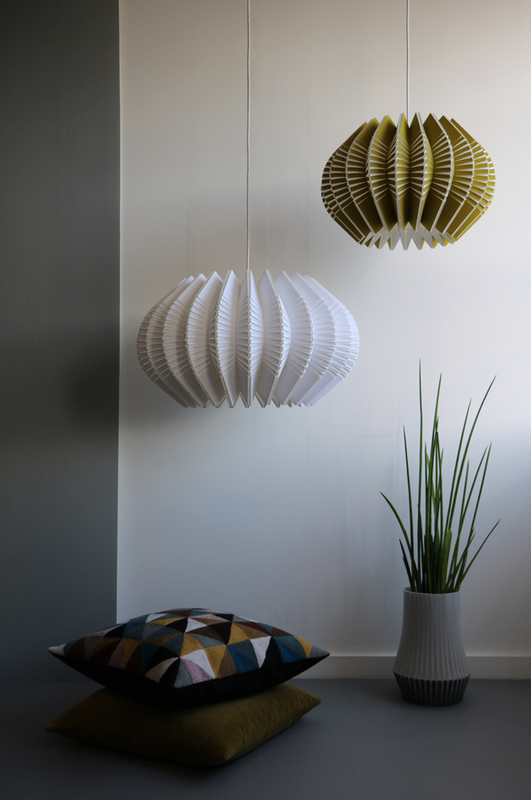 The series comprises a Drop and a Round pendant each available in three sizes.